In order to maintain preset quality standards, we are offering a quality tested array of Brass Hose Nuts. The Brass Hose Nuts are rendered accordingly as per the requirements of the clients. Besides, we assure our clients to deliver these products in given time frame. 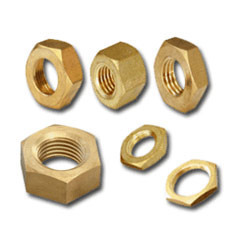 Catering to the requirements of our clients, we are involved in offering Brass Nut. We also deals with weld nuts, castle nuts, flange nuts, square nuts and other types of special nuts. these find extensive application in automobile, construction and agriculture industries. which are manufactured using high quality raw material like brass, Stainless Steel and Iron. which are available in different dimensions and sizes. 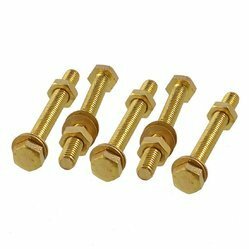 We have marked a distinct position in the market by providing a high-quality range of Brass Nuts. We have gained a remarkable position in the market that is involved in offering Brass Nut.